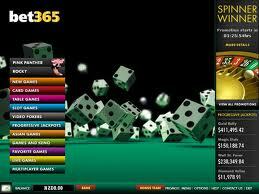 Bet365 is a globally known online gambling company that is certainly among the biggest ones in the world. The funny or rather impressive thing with these guys is that the company was initially launched as a single betting shop in the UK. Now they are the largest privately owned company in this region, employing over 2,000 full time workers and having served millions of clients over the last couple of years. What’s even more impressive is that the initial founder is still with the company today. I’m considering it to be impressive due to seeing so many hard workers making it big and selling their dreams off for money, well a whole lot of it at least. Though, casino games is far from the only form of gambling offered by Bet365. It’s actually not even their niche, as they are way more proficient in online sports betting and live, in-play betting. Bet365 are using platform that is empowered by the gambling giant, known as PlayTech. 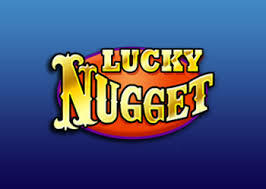 This is the case with majority of their offerings, albeit there are some slot machines that are powered by software providers such as Sheriff, Aristocrat and IGT. For the most part, though, PlayTech is what’s behind this brand. Platform is handy and definitely among the best that have been built in this industry. It will require you only a single account to take part of all offerings that are provided by this fabulous gambling site. Games at Bet365 Casino can be accessed in two ways. First of these is the downloadable casino, which will run on Windows powered computers, while the other is an instant, flash based version. Mobile devices are also supported and those of you who are looking to play gambling games from your iOS or Android powered gadget will have a chance to do so. In fact, Bet365 have their games tailored to these two software platforms. I already stated that Bet365 is in fact empowered by PlayTech and multiple other software developers, such as Sheriff, Aristocrat and IGT. Though, the latter ones are only available and seen by those who use the downloadable casino client, Windows users in other words. For that reason. I’ll try to stick with the games that are available to the mainstream of players – PlayTech. Now PlayTech isn’t some brand of second class or quality, but rather providers of world class gambling environment and developers of games alike. It was quite hard to choose the top games, but I’ve managed to figure out what my 5 favorite slot machines of theirs are. The Incredible Hulk: this one tops that list by far, as it’s an action packed, feature rich 50 pay-line slot with Marvel’s own Incredible Hulk appearing on the reels. When he does, the whole reel is turned into a substitute, since Hulk is also the wild of this slot machine. There also are two bonus games where Hulk is smashing police cars and helicopters as well as one where he’s doing the same with an airplane. To make this game even better, add 4 Marvel network linked progressive jackpots to the list. Rocky: a slot machine themed after the world’s best fighter who managed to get there by having faith and unbeatable desire to be the best. PlayTech have bought a license and developed a pretty amazing 25 pay-line slot machine. When it comes to unorthodox features – players can claim 5x their bet whenever R-O-C-K-Y is spelt with symbols on the reels. Bonus round involves Rocky fighting against an opponent of your choice (either Drago, Apollo or Clubber). You’ll get quite valuable rewards if Rocky performs well too! The Pink Panther: unlike Hulk or Rocky, which were two slot games themed around violence, the Pink Panther is nothing alike. Though, all of them do share some similarities – they are all exciting, offer lucrative payouts and two out of two are progressive jackpot slots. You’ll be able to claim 3 progressives by playing this game, which are NOT linked to any other game. Other than that, there’s also 7 different bonus game rounds and 40 pay-lines to play on. Gladiator: a simple 25 pay-line video slot themed after ancient warriors of Roman times. These have been emphasized in countless movies, stories and books. The game is nothing special at all, but it does have one pretty great selling point attached to it – pretty significant progressive jackpot, which has turned several players into multi-millions in past and will surely do that couple of more times! Baywatch: do you remember the series of Baywatch show about lifeguards and their life? Man, I used to watch them all the time! Well, all characters from it have been moved to 5 reels and 20 pay-lines, where you can see them and also win up to $150,000 – that’s exactly the fixed coin jackpot of the game. There’s also a bonus round that can award you with free spins and a multiplier of up to 6x, but to learn more about this game, you’ll have to join it at Bet365 Casino! New player without an account at Bet365? That’s great, as you’ll qualify for their welcome bonus, actually there are three you can choose of – standard, VIP and slots opening bonuses that is. All of these offer feature the same wagering requirement – you will have to wager 30 times the bonus + deposit amount, before any funds will be made available for withdrawing. Any promotions, which includes the VIP program, can be claimed on top of these bonuses, thus improving the overall value gained for playing at Bet365 Casino! Being one of the world’s largest online gambling companies comes with some perks in the banking aspect, since most payment processors are really willing to work with Bet365. They provide a huge amount of banking methods and also process withdrawals very quickly, within 24 hours of the time you have submitted your request. Note that you’ll also be able to benefit from some custom, country tailored banking options. This is especially the case for those living in central European countries, which are target markets for Bet365 Casino. Another aspect where this casino site is highly proficient and offers real one of a kind experience. Should you have any concerns, questions or you simply want have a good talk about how you can become a VIP at Bet365, these are the ways to get that done. Of course, don’t forget that there is a FAQ section for all issues of basic nature. Available ways to reach a representative at Bet365.com are – Telephone, including callback service, post, e-mail and live chat, which is available 24 hours a day, 7 days a year. How about because they are one of the largest internet gambling companies in the world, offer a great all-in-one gambling solution, process withdrawals quickly, offer great range of games from IGT, PlayTech, Sheriff, Aristocrat and more companies as well as reward their customers generously through a VIP program? Well, you should be ”sold” by now!